It's good that Destruction never sold out or changed their style of music, but their past several releases have been sub-par. The music just isn't very catchy and the energy is lacking. Mike doesn't put forth very good leads, so they usually have someone else as a guest lead guitarist. As a 4-piece during the Release From Agony days, Harry shredded. I'd have to say that The Antichrist was their last solid release. The riffs that Mike puts forth here aren't very admirable. It's just getting worse and worse sadly. The song "The Price" is probably the most notable one. The Dio cover also slayed. "Stand Up and Shout" simply ruled. But out of the 53 minutes of this album, I'd say it's the worst one going back about a decade. It's been great to have Schmier on vocals/guitar after all this time, but these guys aren't offering good metal that's worth checking out. Musically Mike is stuck and his riffs are boring plus lack in any dimension. Every succeeding album they keep on leaving off from where they left off previously with no progression. D.E.V.O.L.U.T.I.O.N. also wasn't very solid, maybe a little bit more than this one. All Hell Breaks Loose and The Antichrist is where it's at. Thrash Anthems is a good compilation album that definitely rips. But Day of Reckoning falls short from many different aspects. The songs aren't well founded with riffs that stick to you. A lot of gallops and palm muted guitar, but they're just boring. You can listen to this repeatedly and have the same opinion. The lyric writing is where it always had. Mostly anti-religion and politics. Nothing that's really interesting if you ask me. Destruction has never really been a band that sings about anything that's intriguing. Good mixing with the rhythm/lead guitars, bass, vocals and drums. That was the strongest part of the album. It was long awaited, but fell short by far much. I've tried several listens to this one and my opinion hasn't changed whatsoever. 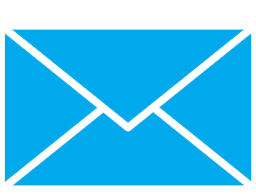 Download some songs and form your own opinion. Again "The Price" is a good tune, but overall these songs are the pits. Thrash metal at it's one of Destruction's worst. 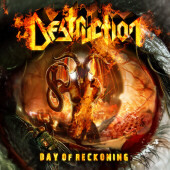 German Thrash Metal legends, Destruction, have returned to make your ears bleed with their latest release, “Day Of Reckoning”. Having been in the metal scene since the early eighties these guys have pumped out some killer albums such as 1985’s “Infernal Overkill”, 1989’s “Cracked Brain” and 2001’s “The Antichrist”. After that Destruction kind of disappeared off the radar until they came out with 2008’s release “D.E.V.OL.U.T.I.O.N” which once again had headbangers throwing the horns up in the air. Now “Day Of Reckoning” has been unleashed among the masses with 11 tracks of adrenaline pumping thrash that will do any metalhead’s little black heart good. Starting out with 'The Price', Schmier sets the mood for this track by giving one of his classic screams not twenty seconds into it followed by some of Mike’s chugging riffs. 'Hate Is My Fuel' begins at neck-breaking speed that is followed by Schmier spitting out his words with pure hate and brutality; the only unfortunate thing about this is that it keeps going in the same direction and does become a little repetitive after awhile. 'Armageddonizer' breaks the monotony with more of groove and nice harmonizing vocals. Plus, Schmier gets to squeeze in a little bass action in the middle here that we don’t hear too often. There’s a good solo that shows off more of Mike’s talents instead of the constant chugging that he provided for us in the last couple of tracks. 'Devil’s Advocate' is another great track that heads more into the headbanging speed with some vicious guitar playing that shows off what Mike is really capable of. 'Day Of Reckoning' is the only thing I’m disappointed with. There’s nothing here that really stands out or makes it special which I personally believe is something a titletrack should carry. 'Church Of Disgust' is probably one of my favorite tracks, taking off at full speed and hails back to old days of Thrash Metal. Schmier’s vocals are powerful that keeps the intensity at top notch. 'Sheep Of The Regime' keeps your adrenaline pumping and headbanging all the way to the end, a perfect finish for this album. Destruction isn’t breaking any new ground but it is an impressive album that I think metalheads and fans from the old days, like me, will always appreciate. I recommend you picking up a copy and checking “Day Of Reckoning“out!